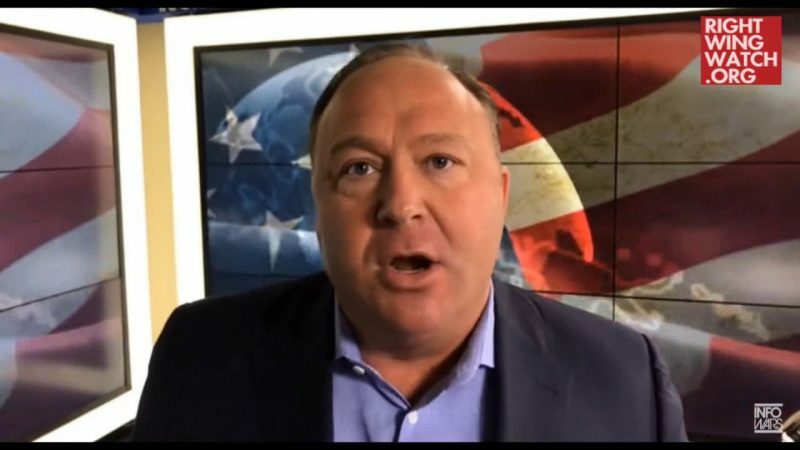 Facebook removed 22 pages associated with conspiracy theorist Alex Jones from its platform today, Casey Newton at The Verge reports. 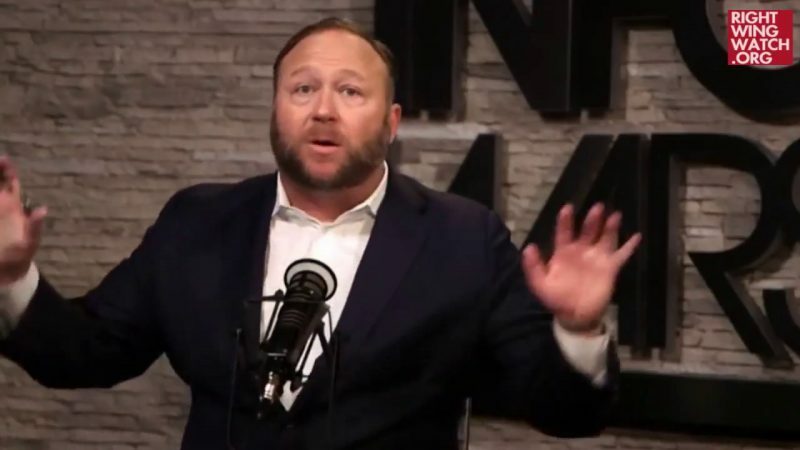 Jones experienced massive deplatforming last August for violating guidelines on multiple platforms that forbid hate speech, harassment, and violent rhetoric. Previously, Facebook would prevent administrators of banned pages from creating similar pages in the future. But the company found that some administrators have attempted to evade enforcement by repurposing pages that they had created before their bans in an effort to rebuild their online communities. Today’s move marks the first time Facebook has removed pages in line with the updated policy. The company did not disclose all of the ways in which the freshly banned Jones pages resembled old pages, but said that they used similar titles. A Facebook spokesperson told Right Wing Watch that all of 22 pages it removed today were run by people who had previously held administrative roles on the four Infowars-linked pages Facebook removed in August. In August, Facebook removed several prominent pages associated with Jones’ Infowars network, but the ban was not total; many affiliated pages were left unscathed until today. Among the newly banned pages, Media Matters’ Timothy Johnson pointed out on Twitter, was one called “War Room,” named for host Owen Shroyer’s afternoon program on the network. War Room was active on Facebook until today, sharing much of the same Infowars content and broadcasts, and violating many of the same community guideline rules for which other Infowars pages had been banned. A Facebook page associated with “The David Knight Show,” which airs in the morning on Infowars, is still active. “It’s the last place my show had to go live on any social media. It’s clearly because of my affiliation with Infowars, of no fault of my own or anything I said or did. My free speech, and Roger Stone’s, is under attack,” Shroyer told Right Wing Watch via Twitter direct message. 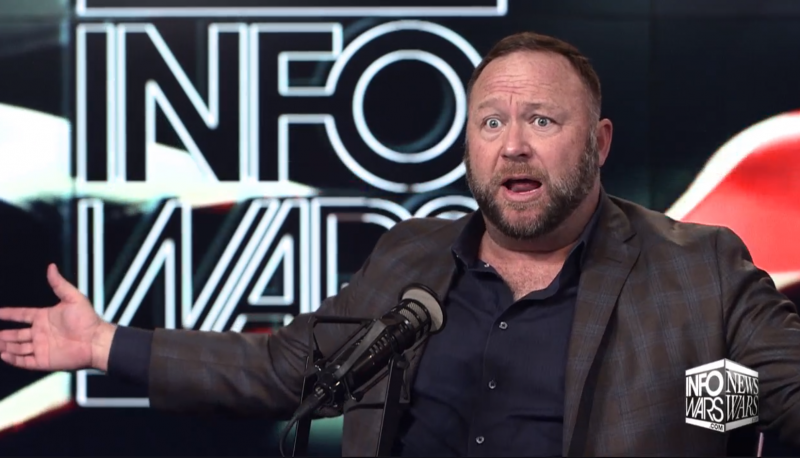 On Infowars, Jones and his associates lamented the ban and warned that the social media bans Infowars has faced should be treated as a warning to conservatives and dissidents at-large. “What do we do at this point? Because I’m ready for war,” Jones said on air this afternoon. As we pointed out in August, the terms of service that Infowars hosted on its own site at the time of its deplatforming would have banned Infowars’ own content if enforced.